South America 2012: Huaraz, province of Ancash. 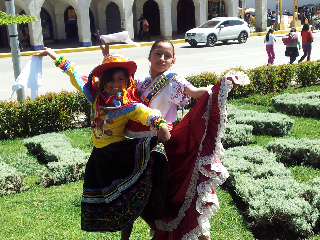 Pretty girls in the Plaza de Armas. This trekking isn't all hard work.